The end of winter demands a party. Of the last few thousand years, we hide these events under religious banners but in fact, they're just a joyful noise that we've gone through another cold season. Believe me, Vietnam in the north has a cold season. Its dampness and and greyness ends the lives of the more fragile and those who get through it richly deserves a week or so of howling at the moon. 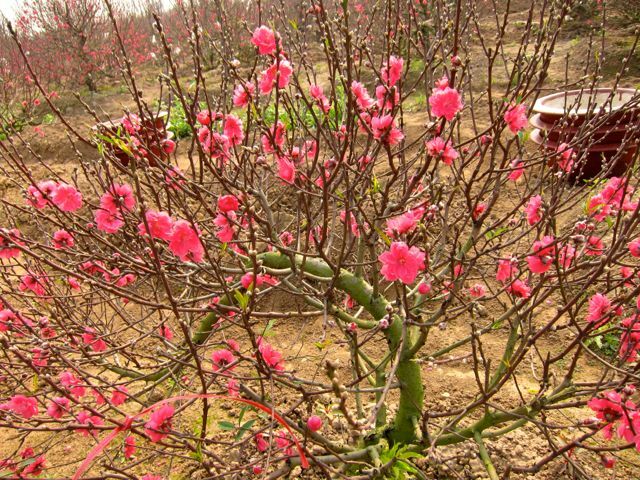 TET is a great way to say goodbye to winter with peach blossoms and kumquat trees and national holiday. 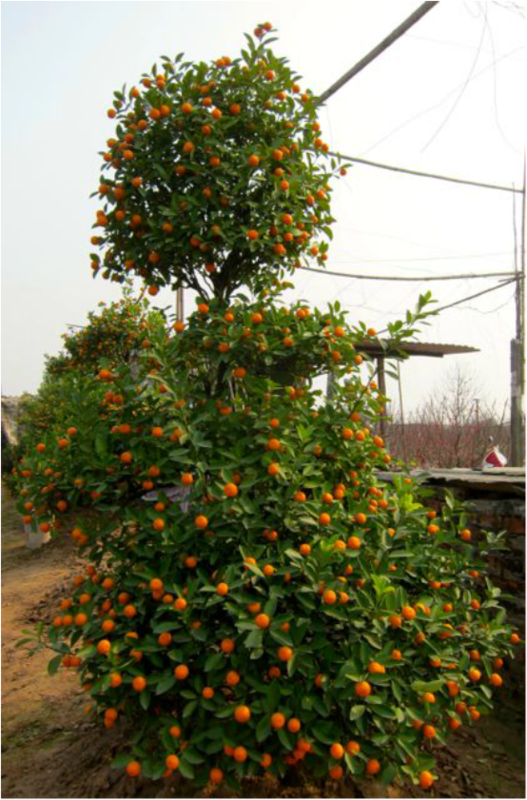 The kumquat tree is displayed like our Christmas tree. It is for good luck. Our grandson and his friend bought one for me and locals were thrilled to see two white young men carrying a kumquat tree for TET. Chung Cake is the Vietnamese traditional food for TET. These are made from special rice, beans, and pork, ordinary day to day ingredients in the Veitnamese food. The square ones are famous in the north and they are wrapped in Dong leaves while the round ones in the South and are wrapped in banana leaves. The Vietnamese offer at the altar of their ancestors several of these chung cakes. Other special traditional treats include lean pork sausage, boiled chicken, dried bamboo-shoot soup, and spring rolls. Everyone in Vietnam prepare many dishes for TET as this is a special time for families to see and visit each other. They make sure that there is enough food for visiting families, friends and neighbours. Enough for Vietnamese families mean that there is so much more still left on the table after everyone has eaten. 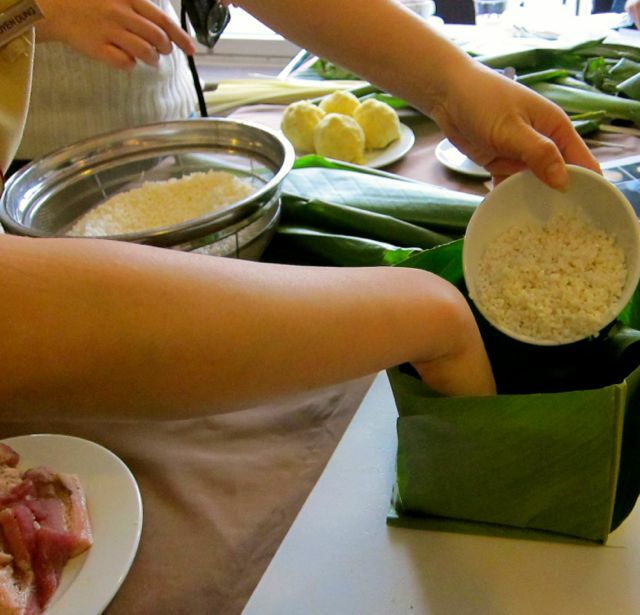 As this is the time to express gratitude to their ancestors, Vietnamese families prepare special food for offering as this expresses their filial affection. Vietnamese also believe that abundance in celebration will bring them good luck for the new year. This year, one of the staff in the hotel, thoughtfully brought us two Chung cakes which we really enjoyed. The taste was exquisite. This made TET very special for us. At the Eve of TET, Hanoi was ablaze as the fireworks emblazoned the sky. It was spectacular viewed from our residence. Right on Hoan Kiem Lake, the centre of life for the people of the city, the fireworks usually mark the start of the new year. ​In 2017, TET holidays were from January 26-February 1, the Year of the Rooster. 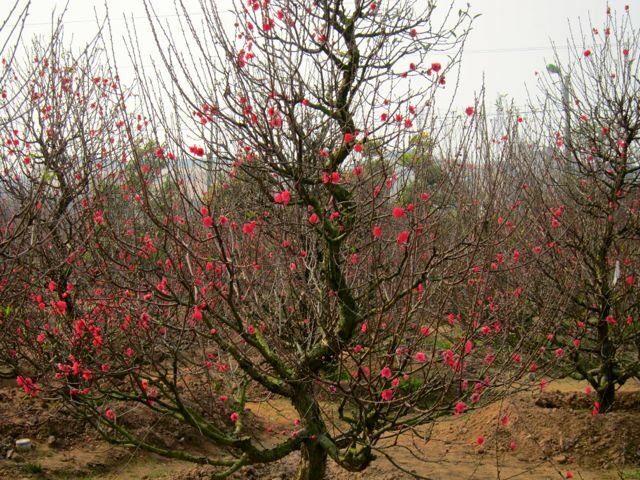 Before you go, check out our experience of TET with a Vietnamese Family.